Google Maps on Android becomes the latest app to get the company’s refreshed Material Design. The update is rolled to limited number of people and the mass roll out is expected in coming months. After launching it for Gmail and Drive, Google is reported to be rolling out Material Design theme to Maps for Android. Material Design, which has been in existence for almost four years, has provided a uniform appearance and experience of Google’s apps across its platforms. According to a report in 9to5Google, a Google Maps update on the server side has brought a redesign to the app, including the search bar, navigation UI and menus. The Material Design theme is prominent in the “Explore” tab that now looks similar to Google News with similar UI elements. Currently, a limited number of people have access to the redesign with mass rollout expected in the coming months. The latest development comes a month after Google rolled out the Material Design theme to Gmail and Google Drive for the web. During Google I/O 2018, Google fixed walking navigation by combining the camera, Maps and Street View. 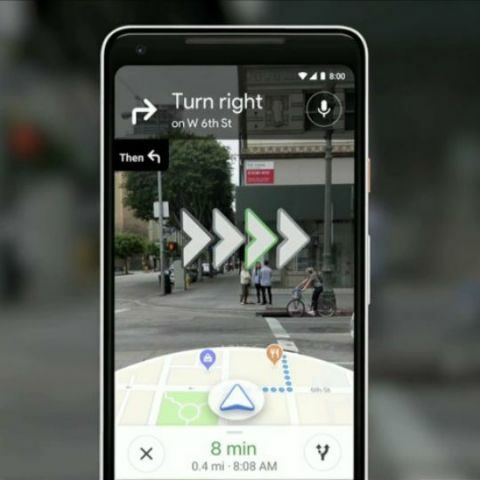 With this, Google Maps will make use of the camera to create a new walking navigation UI which will show the actual street view of the area along with guiding arrows. Google is also working on a Visual Positioning System to help users figure out their exact position by making use of landmarks. Other new Maps features include -- a new ‘For You’ section to bring up locally relevant suggestions, a ‘Your Match’ function which uses Machine Learning (ML) to predict users’ preferred places based on previous ratings. The company also announced that apart from the design, the revamp will also provide tools for developers and designers to create apps across platforms with their own language. Google Maps for Android was recently updated with a feature called "Your Shortcuts" that allows users to set four shortcuts on Maps’ home screen from a set of 14 quick actions. These quick actions include Foods nearby, Malls nearby, Cinemas nearby, directions to home and work, Metro stations nearby, Bus stations nearby, and more. In March, Google introduced "Plus Codes" -- an open source solution that represents a simple and consistent addressing system. The feature zeroes in on an area based on the "Plus Code" which is provided by a user. The code comprises of a "six-character + city" format that can be generated, shared and searched by anyone. To use a "Plus Code", users need to simply enter it into the Search field on Google or Google Maps, mobile or desktop, which will instantly show a location.